Yew Tree Cottage is a real find. It nestles in spacious grounds yet is in the centre of a picturesque village, enjoys a picture-perfect historic cottage exterior but also benefits from a sophisticated, sensitive, yet contemporary interior, and finally manages to be both luxurious for grown-ups and parent-friendly.... heavenly! 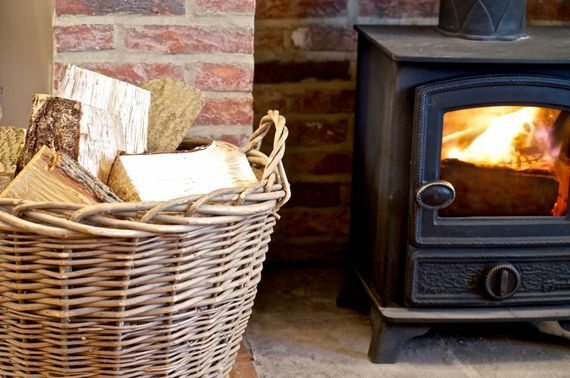 This cosy, 3-bedroom, country retreat has all the creature comforts guests will need, from roaring fires and comfy beds to thoughtful baby gear, a pretty enclosed garden and a friendly pub with a good reputation for food just a few yards away. 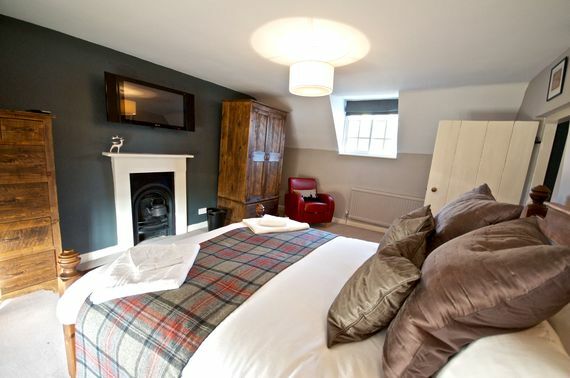 Recently refurbished, the owners have done away with chintz in the favour of contemporary heritage chic. The romantic, double-ended, clawfoot bath is bound to be a big hit with frazzled parents who'll love the luxury Aesop toiletries and the chance to wallow with a glass of wine and flickering candles whilst the tots are kept quietly entertained thanks to the plasma TV and handy selection of U-rated DVDs. Even cooking will seem less of a chore thanks to the luxury kitchen equipped with six burner Rangemaster, microwave, Belfast sink, solid oak worktops, American style fridge-freezer, dishwasher and all the cooking implements one could need. 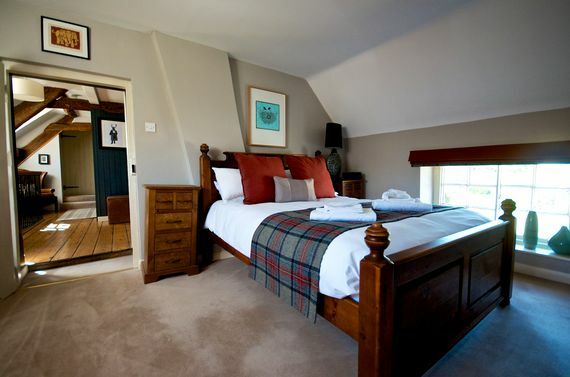 Though when a lazy night is in order after a busy day exploring the many attractions nearby, families can head out to the Blacksmiths Arms just down the road which offers a good menu of well-priced, high quality meals as well as highly rated take-away fish and chips suppers during the week. This sympathetically restored grade II listed, detached cottage offers plenty of space for both relaxing and entertaining. The luxurious kitchen complete with solid oak worktops, white shaker style units and a Belfast sink is state of the art with everything needed for whipping up a feast including a six burner Rangemaster hob, convection/fan oven, microwave, American style fridge-freezer, dishwasher, and range of cooking implements. The dining room has been designed with entertaining in mind and is perfect for everything from family breakfasts to special occasions thanks to the large, solid oak, rectory dining table, open fire original beamed ceilings. 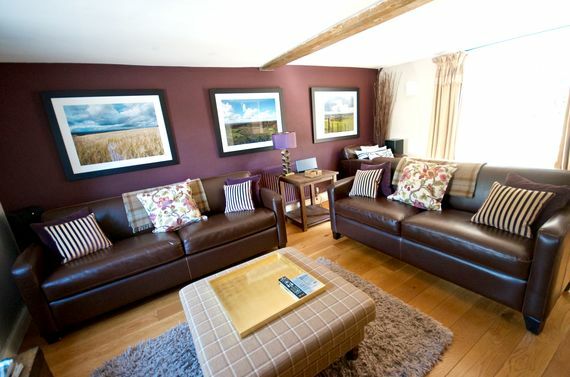 The family living room is cosy and comfortable with several leather sofas, romantic wood-burning stove and widescreen TV with surround sound and a selection of parent and tot approved DVDs. On warm summer days the patio door leading to the garden can be opened allowing parents to relax with a book or a glass of wine whilst watching over little ones on the enclosed lawn. There is also a handy downstairs toilet with washbasin and lobby perfect for kicking off muddy boots. Upstairs there are three bedrooms sleeping six guests plus infants. 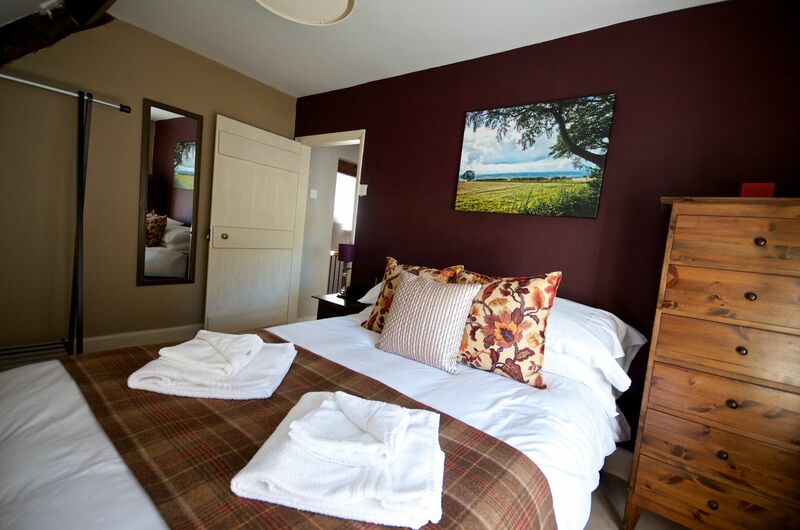 The master bedroom is a cosy room with a king size bed complete with luxury linen, beamed ceiling and 32 inch plasma TV with its own DVD player. The second bedroom has a double bed and beautiful views across the surrounding, open fields. A third room has twin beds that can be 'zipped and linked' into a large double on request. The bathroom is a real gem thanks to the traditional roll top, claw foot, bath, under floor heating, overhead shower and complimentary Aesop toiletries. 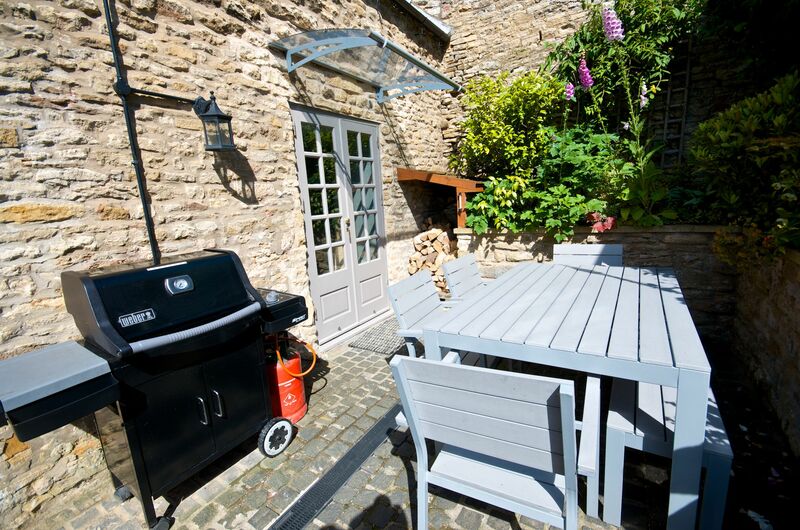 Outside there is an alfresco dining area with teak dining table and seating for six directly outside the patio doors from the living room and Weber gas grill BBQ perfect for summer cooking. The garden is fully lit allowing parents to extend their garden parties even when the tots are tucked up in bed and the sun has set, though families may choose to turn off the lights in order to enjoy a spot of star gazing in the clear country sky. Steps lead from the dining terrace to a small but perfectly formed lawn area. Please note there is well within in the garden however it is covered by a strong iron grate. 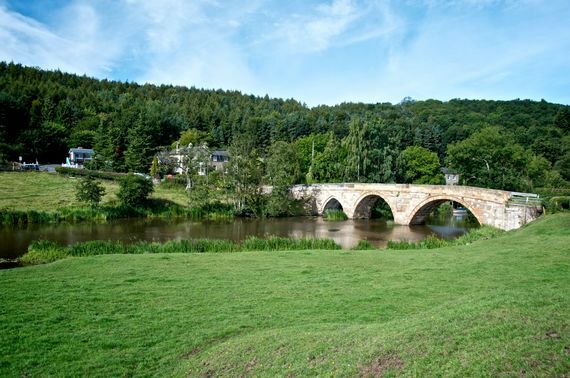 For travellers in the know North Yorkshire is considered to be like picturesque parts of Devon, but without the crowds. There are cobbled streets, pretty cottages, great food, stunning coastline, plentiful heritage and beautiful scenery minus the tourists and summertime traffic. 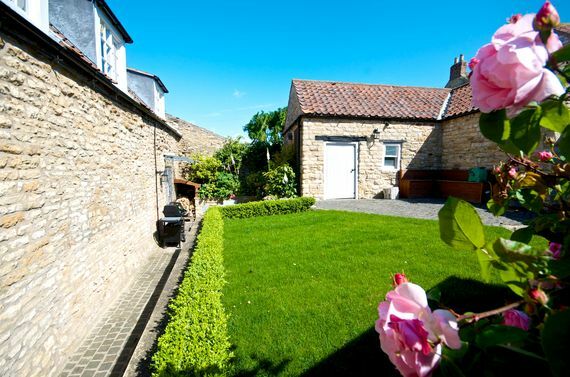 Yew Tree cottage is set right in the heart of the countryside in the pretty village of Westow just 20 minutes from bustling York . Westow and the surrounding villages offer plenty of great places to dine out including the village pub; The Blacksmiths Arms which is reasonable in price and delicious in taste. The Jolly Farmer in Leavening is welcoming to families and well known for its real ale and good food. For a special treat the Market Place in Malton offers superb food and wine whilst The Star Inn in Harome offers Michelin star standards well worth hiring a babysitter for. For days out, mini explorers will enjoy fossil hunting on the Jurassic beaches at Robin Hood’s Bay, whilst Harry Potter fans should take a visit to Hogsmead Station.Both, just a short drive away. For aspiring princesses and knights Hemsley castle is well worth a visit and is great after a family picnic on the nearby moors. For would-be vikings, a visit to York for the Jorvik Viking Centre is unforgettable, whilst parents will appreciate the great boutiques and bistros. There's also the famous York Minister of course. 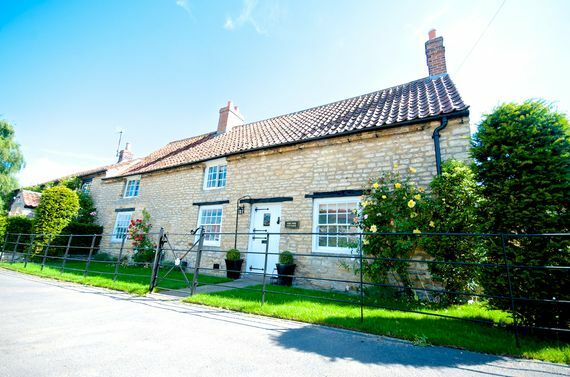 The cottage's setting on the edge of Wolds and Moors makes for brilliant walking and horsriding country with many footpaths and riding stables nearby. Fans of golf will be in their element with several great courses including Sandburn Hall and Malton and Norton Golf club, just a short drive away. Juniors will enjoy the York Golf range which offers state of the art driving range and all weather 9 hole putting course. Nearest Medical Services: The nearest GP is in Malton 4.3 miles away. 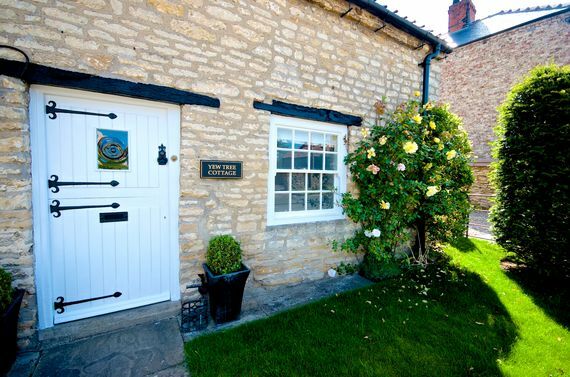 We are Natasha and Paul, and we’d like to be the first to welcome you to Yew Tree Cottage. When we first encountered Yew Tree, it was love at first sight; our little piece of luxury from the hustle and bustle of day to day life. Our experience of interior design, an eye for detail, and love of the countryside has led us to the careful restoration of this cottage built in 1750. 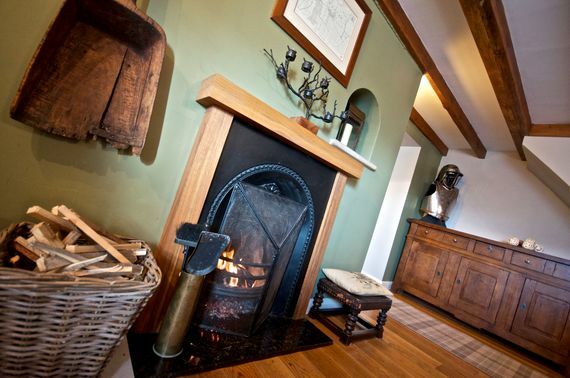 We've really enjoyed finding unique and interesting artefacts to add to the cottage and restoring it to make it one of the finest examples of country cottages in North Yorkshire. And now that we've had twins, we have made sure that we really cater for little ones. 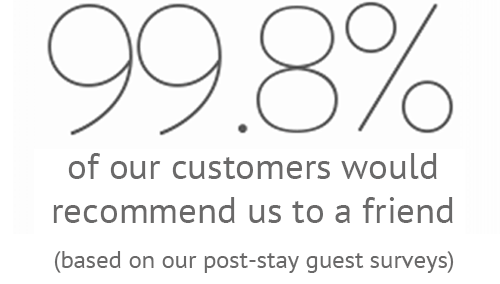 Guests really love this place as its a home away from home in a lovely part of the country. You are relaxed from the minute you arrive. The fresh air, open fields and beautiful starry nights are a true slice of heaven! Add to that a beautiful cottage with the history, and the mod cons for complete indulgence. We've gone the extra mile to ensure you have all the little bits and pieces catered for... you get much more than just the cottage. 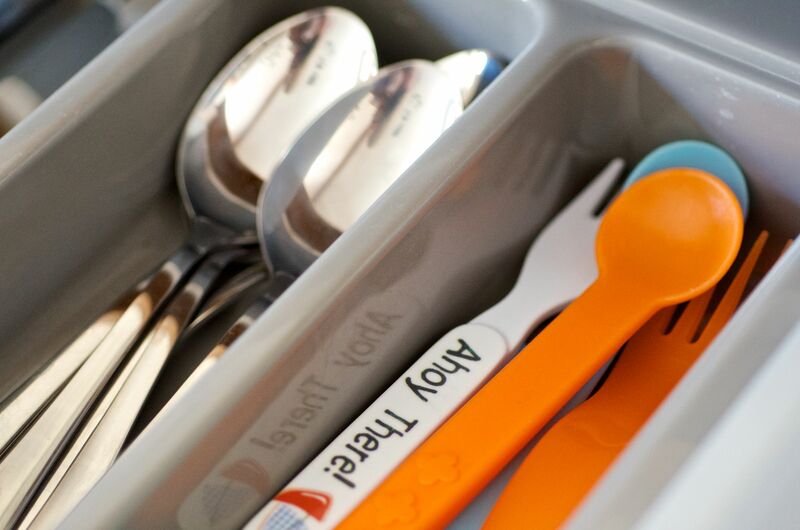 We welcome kids of all ages to stay at Yew Tree Cottage and like to think we cater for all. For the little ones there are toys, books and games to play with and an extensive DVD Library, and for others theres WIFI, PSP and 2 computers for use. Plus the armour and other unique artefacts around the cottage add some intrigue and interest! For the parents we have catered for all your needs - from baby bath, to emergency baby kit, all the essentals you need so you dont have to overload the car, and more! 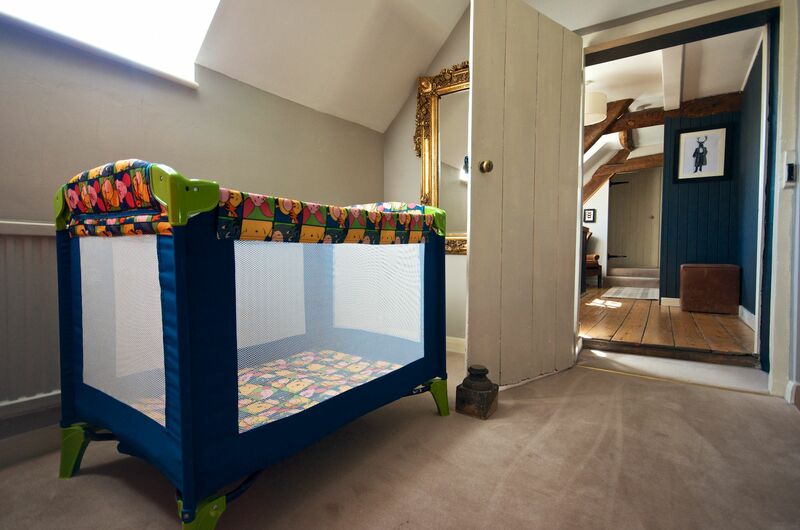 Sleeps 6 +infants in 1 x super king bedroom & 1 x double bedroom, 1 bedroom with 2 x ziplink single beds, space for 2 cots. The cottage is set in the heart of the pretty village of Westow within a short stroll of the local pub, which serves good food. Experinced babysitting can be arranged on request. Travel cots (with mattress suitable for up to 15kg (please bring your own sheets as we do not provide these for health & safety), highchairs, steam steriliser, bottle warmer, plastic plates, bowls, crockery, and cups, toddler ready bed suitable up to 4 years, bed rails, socket protectors, stairgate (at the top of the stairs only), and blackout blind. There is a selection of tots books, toys and U-rated DVD's and PS2 and games for the older children. A pre-arrival shopping service can be provided using Ocado, Tesco or Asda, along with milk, paper, veg and butcher delivery service. Wifi is provided and IPod docks in several rooms. Within just 10 mins of a selection of great golf courses including Sandburn Hall. 2 x cots and 2 x highchairs can be provided making the cottage perfect for twin babies. The cottage has a woodburner and fireplace. Excellent cottage retreat away from the hustle and bustle of everyday life. Stunning cottage. Super stylish and luxurious and in a perfect location yards away from a really friendly pub offering great meals. They even let you take meals home to the cottage. Loads to do in the area. Just brilliant! Beautiful property in heart of York with lots of local attractions for children, the local play park is also a great find hidden away just 5 mins walk from the cottage! The local pub is a must as the food and service are fantastic! 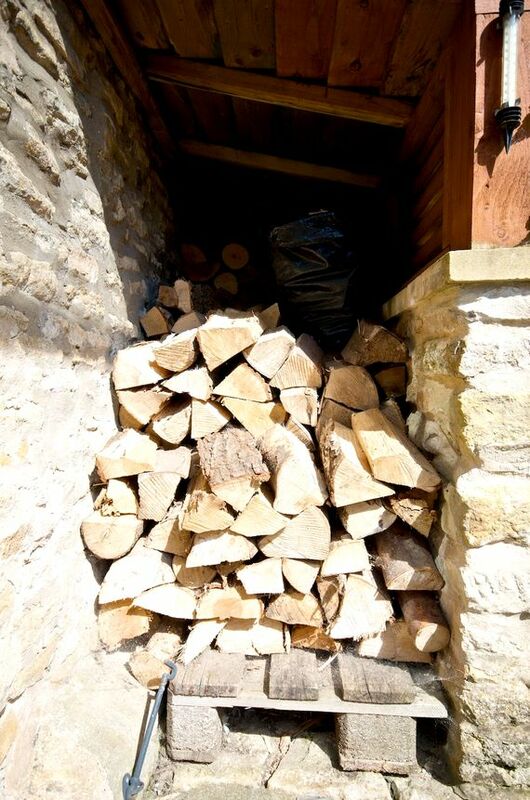 So good you need to book in advance if possible but they will also happily deliver to your cottage as only yards away!! The welcome hamper was also lovely and a great way to start the holiday. 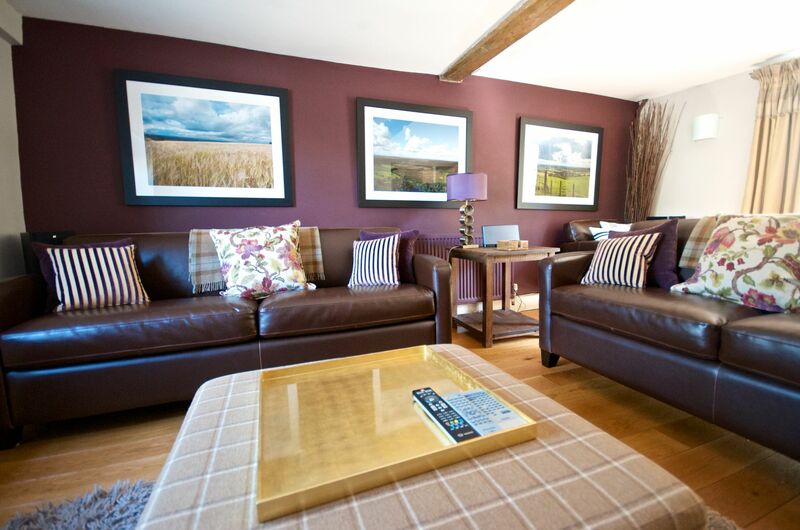 We love using BFB as their properties are always of a high quality, and Yew Tree Cottage was no exception. The cottage was beautifully decorated and furnished inside and out, and it was in a superb location with lots of local amenities including a very friendly pub a few yards away which offered takeaway meals! My only concern were the steps and large drop in the garden which could be precarious for toddlers, but the drop had been cleverly safeguarded by a small box hedge. Fantastic stay with an 8 month and 3 year old. Cosy cottage with more space than we expected. Well furnished, comfortable and safe. Small, quiet village with a nice village pub. An absolutley wonderful place to stay, with everything you could need for you and baby. Fantastic cottage, we'll be back! Absolute retreat to get away for a short break. We organised milk delivery and an extra big hamper which was filled with everything you could imagine. We were travelling as a family with a small baby, so the availability of the travel cot at the cottage was perfect, one less thing to pack. Parking outside was ideal, easy to unpack / pack the car. 6 of us spent a week at Yew Tree Cottage in September (me, my husband, my sister, my brother-in-law and my 2 nephews aged 5 months and 2 years). We had a great time and would like to thank the owner, Natasha for providing a lovely cottage with lots of great extras as well as really quick answers to all my questions! Booking was straightforward and the information Natasha sent through prior to our arrival was detailed and useful. 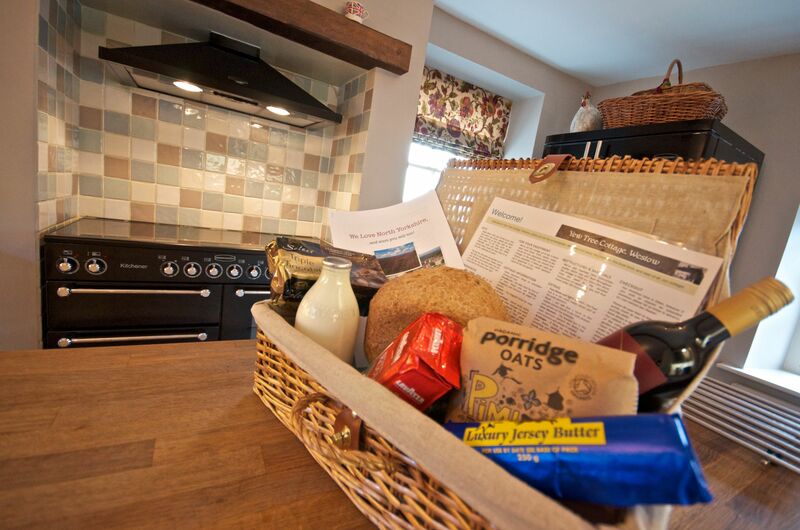 We loved the welcome hamper waiting for us on arrival (with eggs, bacon, bread, porridge, wine, cookies and more!). There were plenty of tempting options around ordering food during the week or prior to arrival too (which we didn?t take up but it was great to have the option). An option we did follow up was the one for the Verbena Spa which was very worthwhile. I had an incredibly relaxing wrap. The cottage itself was decorated to a high specification with many little extras. We had a candlelit dinner one evening, enjoyed reading the magazines, using the Aesop soaps and using the barbecue. I enjoy cooking and it was good to have kitchen gadgets available such as scales, a handheld blender and a double oven. It was really nice that various ingredients were available such as flour and spices as I only needed a little bit and it was great that I could use what was there instead of having to buy and then waste a whole packet. We also liked to location of the cottage which couldn?t be better for visiting Yorkshire?s many highlights. As well as the spa in we went to Whitby, to Robin Hood?s Bay, walking on the North Yorkshire Moors, on the steam train from Pickering, to Castle Howard and on local walks around the village (as well as Gruffalo hunting in the local deep dark woods). We didn?t find the house suitable for a lively, curious toddler which we found surprising as we?d found the property through the Baby Friendly Boltholes website. It?s definitely child-friendly (with plenty of dvds and games available) and it?s baby-friendly (because it has a high chair, a travel cot and a lot of plastic crockery). However for us there were a few features that meant it wasn?t ideal for the 2 year-old in our group (lack of stair gates and blackout blinds on the external windows, difficulty accessing the third (business centre) bedroom quietly during the night, loose hanging blind cords throughout the house, raised lawn without fencing) and a few other things. There wasn?t an area of the house where a toddler could be left to play unsupervised and so one of the adults in the group had to be ?on duty? at all times. This didn?t spoil our week and I want to stress that we had a great time and thought there were many many good features that this cottage had and I think it would be fine for babies and children ? it?s just toddlers, who are not 100% steady on their feet and at the stage of testing things out (including whether or not to obey instructions) who perhaps aren?t the best clientele! All in all a really great week in an extremely nice cottage which we would definitely recommend to families with babies who aren?t yet walking and children aged 5 upwards. Another plus is having 2 rooms with double beds and finally Natasha is certainly the most helpful and responsive rental property owner I?ve dealt with. We have two little ones and were keen to get away from the hum drum of London and out in to the fresh air and to a gorgeous setting. And we weren't disappointed. Yew Tree Cottage was the perfect antidote! Fresh hamper awaited us, with fresh milk supplied daily. Cot and highchair were set up ready to go and the kids loved the dvds and games. Which meant we could settle right in and relax. Highly recommend, and will book next season. We recently had a little one and decided to take a short break. What a surprise - a beautifully decorated cottage, with all we could need stocked up in the kitchen, a welcome hamper, and cot, highchair and bits and bobs all set up ready for our arrival. We completely relaxed, and the pub just down the road was also a welcome find. We really enjoyed our holiday and were very appreciate of the help and care taken by the owners. The property is gorgeous. But think it suits slightly older children (rather than toddlers). We had a really lovely break. Everything was catered for - right down to kids cot, highchair, great organic foods, kitchen herbs, olive oil, cook books, kids dvds and more. Beautiful cottage in a fantastic location. It had everything that you could have wanted. Great communication from Natasha and Paul. We also plan to return at some point and explore the area more. The Yew tree cottage is a perfect family destination, wonderfully cosy and immaculately clean. The correspondence with the owner was concise and informative. We would definitely stay here again. We had a great stay at Yew Tree Cottage. It was our first family holiday with our 5 month old son and Natasha had put up a travel cot and provided a big pile of toys for our son. We arrived late in the cold snow, but once inside we found the cottage warm and very welcoming with the welcome hamper. 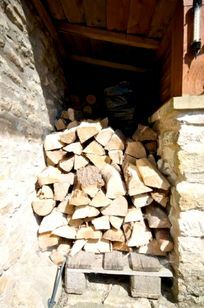 Everything about our stay at Yew Tree Cottage was perfect. Clean, well appointed, spacious and full of character and charm. Comfortable beds, all mod cons, lovely bathroom smellies and a cosy wood burner. The attention to detail becomes more obvious the longer you stay, it really is a high quality place in which a lot of thought and care has been taken to get everything just right. This is a very high quality cottage. The kitchen is designed for proper cooking, the dining room is comfortable and great for seating the whole family for a Christmas dinner and the lounge is wonderful for enjoying Christmas family games, for watching TV and for lounging in front of the wood-burner for a little after dinner nap! In addition to pretty good bedrooms, there is a really great work-room/playroom with a very comfortable put-me-up bed. A couple of desk-top computers and printer supported by high speed internet along with good wi-fi made this cottage fit the bill for our teenagers with exams around the corner. All this in a beautiful stone cottage and in a largish but very rural village. What a wonderful winter get-away spot! Stunning cottage with relaxing atmosphere! Memerable stay in a beautiful part of the world. The blacksmiths arms pub is only a very short walk and serves great food. We spent the May half term in this lovely cottage. Natasha was great to deal with and gave us excellent directions, plus details of things to do in the surrounding area. There was a lovely welcome hamper waiting for us which was a really nice touch.The cottage is in a quiet village but is close to plenty of tourist attractions. We reached most places we visited within 30 mins.The kids (5 and 2 years) loved the cottage, we had to move a few breakables out of the little one's reach but he behaved himself and everything was still intact when we left. 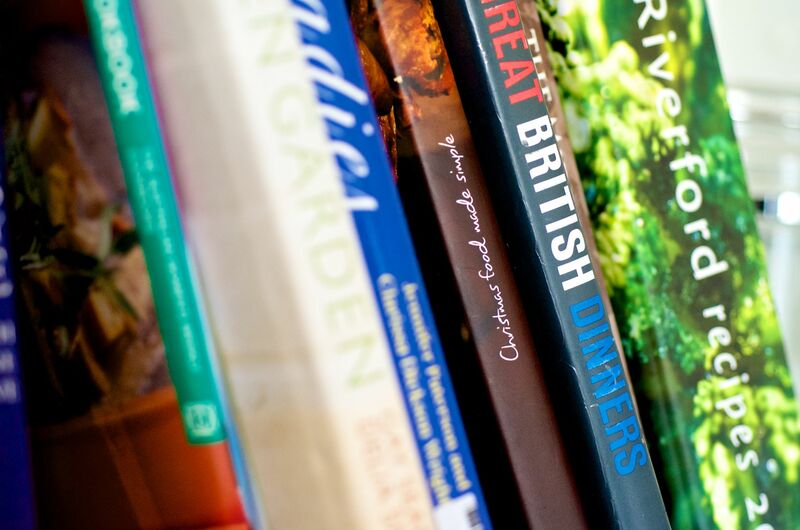 The cottage is equipped with everything you need, even DVD's and boardgames. The only thing I would say is that the garden is raised (there are a few stone steps up to the grass) and the kids were drawn to walking along the wall surrounding it, which meant they had to be supervised closely at all times. All in all it was a lovely stay and we will definitely return. Wonderful cottage, wish it was mine! Our second stay at Yew Tree Cottage and just as great as the first. 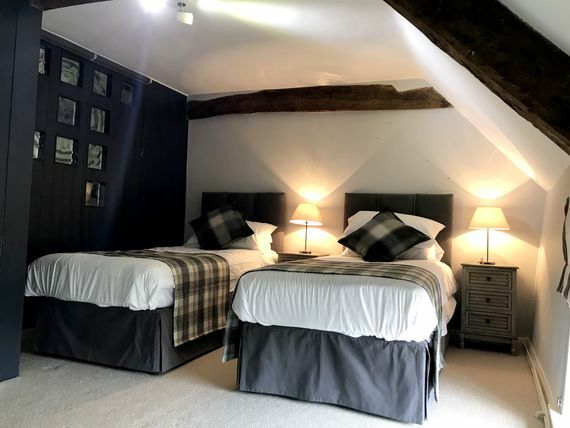 The owners really have an eye for decoration, it feels so cosy and homely.Great Location, near to York but still in a lovely small village with a fantastic pub on the door step (if your visiting the pub for food at the weekend remember to book! ).We leave Yew Tree Cottage already planning our next visit.We will definitely be back. “Lovely top notch stylish cottage” Beautifully decorated, spacious and yet still cosy. Elegant and luxurious decor. Bed was superbly comfortable, linen was glorious. The large kitchen was brilliant and with all modern appliances. Our three children loved the games and there were all the necessities for travelling with a baby ie. cot, high chair, plastic cups etc. The picturesque village was well located for York and the surrounds. We loved it! Service was impeccable, from the excellent pre and post stay information emails to the staggeringly well stocked kitchen. It would be hard to find any fault at all with the cottage interior, and we were particularly impressed by the office facilities and enormous selection of games and Dvds. If pressed, we could only really complain that visiting in January meant making use of the pretty patio garden and BBQ was not really an option. 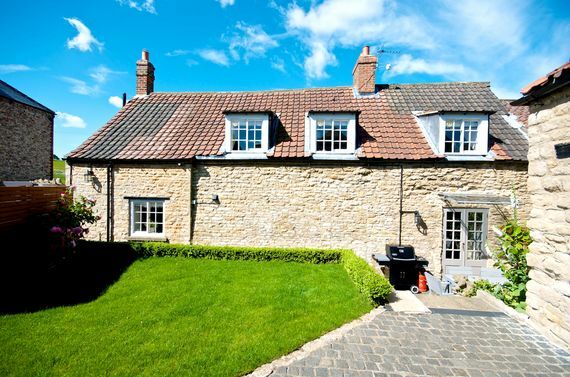 To sum up, I'm generally a believer in the maxim that one gets what one pays for, and in this case that maxim certainly holds true - Yew Tree Cottage is everything you could hope a luxury country holiday cottage to be. "Pure luxury, quality and tranquility." We had a fantastic stay at stunning Yew Tree Cottage, Westow. 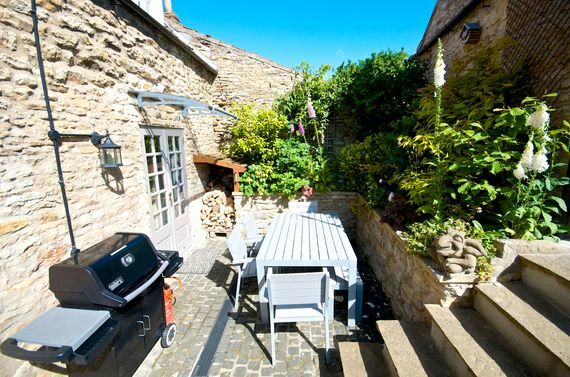 The owner has thought of everything you could possibly need and so much effort has been put into creating the character and charm of the beautiful cottage. A great escape from reality, would highly recommend to anyone!! The booking process was also very straight forward and Natasha was so very helpful and informative. Thank you!! The cottage was just lovely and we wish that we could have stayed for longer! It was very tastefully decorated, with extremely comfortable beds. What really made it a relaxing break were the finishing touches, such as our organic veg and fruit box,our order from the butchers which were there for our arrival and the fantastic complimentary toiletries. 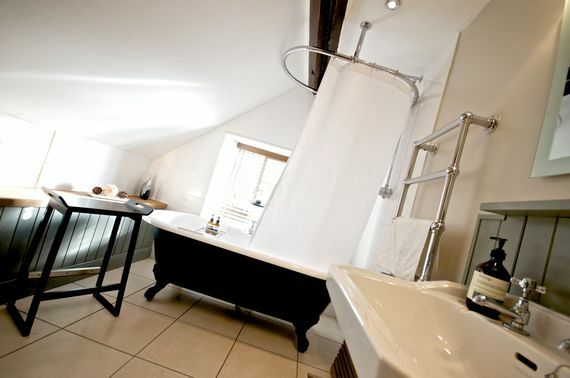 Wonderful!Yew Tree Cottage is a fabulous place to stay. Cosy yet sophisticated we and our 8-year-old and 11-year old kids throughly enjoyed our stay. We'll be back! A lovely cottage, decorated and furnished to a high standard with everything you would need. Lots of nice touches, from the DVD library to candles in the bathroom and plenty of basics in the kitchen cupboards. The location is perfect, we enjoyed a day out in York and another in Helmsley & Rievualx abbey, and will definitely return to explore more of North Yorkshire. We treated ourselves to take-away fish & chips from the local pub on Saturday night in front of the fire - perfect! On our continued quest to explore all the corners of England and stay in charming and historic cottages, Yew Tree Cottage did not disappoint. On the contrary, we were so comfortably at home, we had a hard time leaving to explore the surroundings! On arrival the kitchen was stocked with organic vegetables and local meats, and we were tickled to find fresh milk on our doorstep in the morning. We spent the week cooking all these delicious foods, eating by candle light and roaring fires. Our two very young children felt at home as well, and every need we had for them was filled, from cot to highchair to laundry facilities. My husband and I decided to have a break in Yorkshire with our baby daughter. When we arrived we were absolutely delighted. The cottage was absolutely beautiful and was even better than the pictures! There was a lovely welcome basket provided and even a welcome message on the blackboard in the kitchen which made us feel very special! 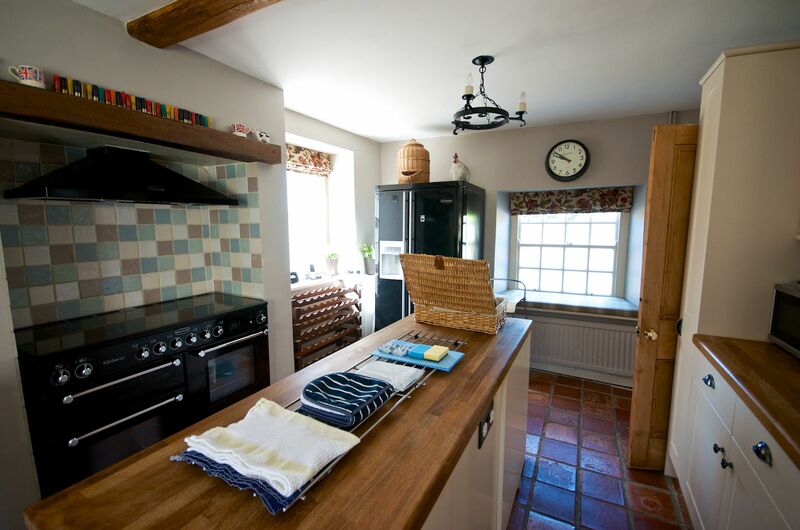 The cottage has everything you need whether you are in the kitchen using one of the many cookbooks/fancy a long and luxurious bath with candles and luxury bath products/enjoying a chilled night by the fire in front of a DVD. There are games and DVDs upstairs and even internet access so nothing has been left uncatered for. We had a highchair for the baby and there is also a travel cot if you need. We loved everything about this cottage and will be back!